Recently, the leading men of our opera, Maskarade, took some time out of their busy, busy lives to answer a few questions for us. Nicholas Pulikowski (Leander) is a native of Chicagoland and a graduate of Northwestern University and Indiana University-Bloomington is no stranger to playing the tenor in love. Michael Orlinsky (Henrik) has developed a real love for the Danish language as a result of this opera, and Zachary Elmassian (Jeronimus), a recent Master’s graduate from Northwestern University shares a few insights into his character. Come see VOX 3’s Chicago premiere of Carl Nielsen’s Maskarade, opening Saturday, January 18th at the Vittum Theater in Chicago! The men of Maskarade performing their wonderful quintet. So when I’ve described this project to my friends and co-workers, they’re stunned by the fact that we’re singing in Danish! What attracted you to this project? How has it been learning the Danish? 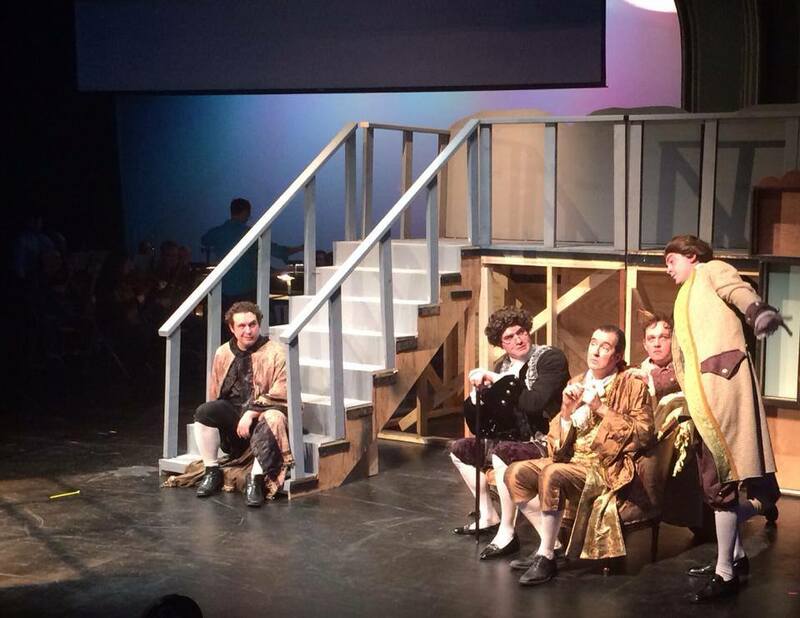 Michael Orlinsky (MO): I was attracted to this project because I love to perform, essentially. The fact that it was in Danish was a neat aspect of it, but certainly not the defining factor. Learning the Danish was tough to figure out, but once I figured it out I had a fairly easy time learning it. Nielsen is a genius, and he really teaches the singer the different aspects of Danish through the way he sets the words. When I opened my mind to that aspect of it, it made much sense. It’s actually very similar to English in the way it’s pronounced. Upon studying the Danish language I discovered that English survived as a language in Denmark for quite some time. It lingered as the language of the people while the church maintained the Latin language, and the nobles maintained French thanks to William the Conqueror. Eventually, the language of the people grew in popularity thanks to tales such as Beowulf or Canterbury Tales. After much borrowing from the other languages that were spoken in the area English somewhat codified. However, a lot of the borrowing comes from the Danish language. Within this opera there are examples of this borrowing even in Danish. There are several moments in which the characters find it useful to speak in French, German, or Latin. 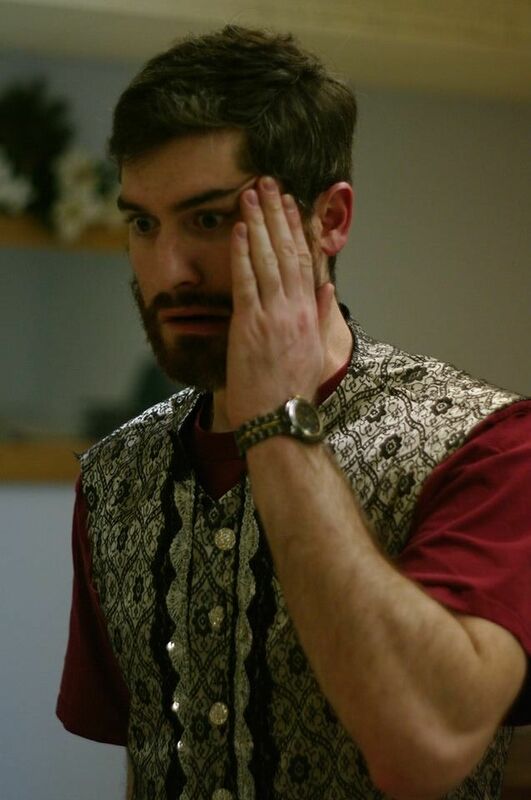 Zachary Elmassian (ZE): For me, singing in an entirely unfamiliar language attracted my interest in the project. After listening to a recording, I was hooked. It’s great music with a hilarious libretto. I also had been wanting to work with VOX 3 for sometime as my schedule prevented me from taking part in concerts given over the summer and fall. Nicholas Pulikowski (NP): I was stunned by the Danish myself and it has not been easy, particularly working to create the characteristic swallowed vowel and throaty consonant sounds of the language while singing with healthy vocal technique. Danish sounded to me at first like a gargling string of nonsense characterized most by the uvular R which at times sounds french, other times German, and most often sounds like a 3-year-old American ready for speech pathology. Perhaps the most bizarre sound produced by the Danes is their soft D (irregularly found anywhere and everywhere) which can only be described as a gag from the sides of the back of the tongue – truly impossible to sing through for this American. Now, I’ve heard this discussed among the cast throughout the rehearsal process- what do you think Danish sounds like? ZE: I think Danish sounds like many things. Throwing up sometimes happen to be one of the sensations. Maybe gargling with mouthwash too. I don’t mind singing in it. The vowels become a little muddled at times, but it actually is a very legato language; just happens to sound in the back of one’s throat all the time. MO: I have a Swedish friend who I asked for his input on the Danish Language early on in the process. He told me it would be useless because, to him, “Danish sounds like Swedish with Mashed potatoes in your mouth”. Perhaps that can be an offensive comment, but I find it to be a beautiful language. It is beautiful in it’s interesting aspects. It can be lyrical, but it is generally short and poignant. At times we had a hard time figuring out which vowel to sing on for long notes because of the structure of the words within the music. The “r” is very far back in the throat. Most singers don’t appreciate that. I didn’t really have a problem with it. I appreciate the language very much. Tell us a bit about your character in the opera? What’s your favorite scene or moment in the opera? MO: Oh.. Henrik. As Henrik, I am the life of the party. Henrik is just trying to find the glimmer of joy within an otherwise damp and dreary world. I see a spark within the young man who I care for to foster equality. As a noble man, Leander has the capabilities of changing the world. Hopefully with my influence he can do so. All of that serious stuff aside.. I like my drink, I like women. I might have the found the right woman at the Maskarade that can keep me from the others. We shall see.. Beyond that, I’m somewhat long-winded.. I’m a performer. I have strong opinions and given my station in life as a servant.. that gets me in to trouble often. It’s worth it. NP: Leander is the love-struck son of a wealthy Danish businessman at the turn of the 17th century. He and his best friend/servant, Henrik, are totally taken by the newest social phenomenon in town – the Maskarade. Behind their mask, anyone can be anything at these parties and Leander is sure that the equality and freedom he finds there is how the new world of the dawning 18th century is meant to be lived. Act II, Scene 8 is the arranged masked meeting between Leander and Leonora, the object of his undying love from the night before at the Maskarade, before going into the party for their second night of fun and festivities. Leander is simultaneously thrilled to see Leonora again and absolutely clueless as to what to do with her. Nielsen’s music here between the lovers is first excited, then polite followed by tentative, encouraging, and finally sweeping – the wave is so much fun to ride! ZE: Jeronimus is part of the old vanguard, the “ancien regime” if you will. He is the personification of the old ways, of tradition. He dislikes change and does not see it as progress. He holds his values to be law and becomes very unsettled when the masquerade begins to threaten the old way of unequal stations in life. If I had to pick a favorite scene (I have many, especially those comic ones with Jeronimus and Arv), it would be Jeronimus’s aria scene. He is alone onstage and one really gets the sense of where he’s coming from. It’s where his character is dissected and analyzed. The music is gorgeous, and paints him to be a real, three-dimensional character. We empathize with him after the scene’s conclusion as we understand how important the old way of life is to him and what a threat the masquerade has become. It’s a chance for us to see him at his most vulnerable and, consequently, his most interesting. Some of you have worked with VOX 3 previously- what do you enjoy most about the company? Zach, this is your first time working with us- what are your impressions? MO: I love this company because the people who organize it are open to everyone, and able to utilize people well. They are able to provide many opportunities, and respect their musicians very much. Beyond that, the quality of performance is generally high. 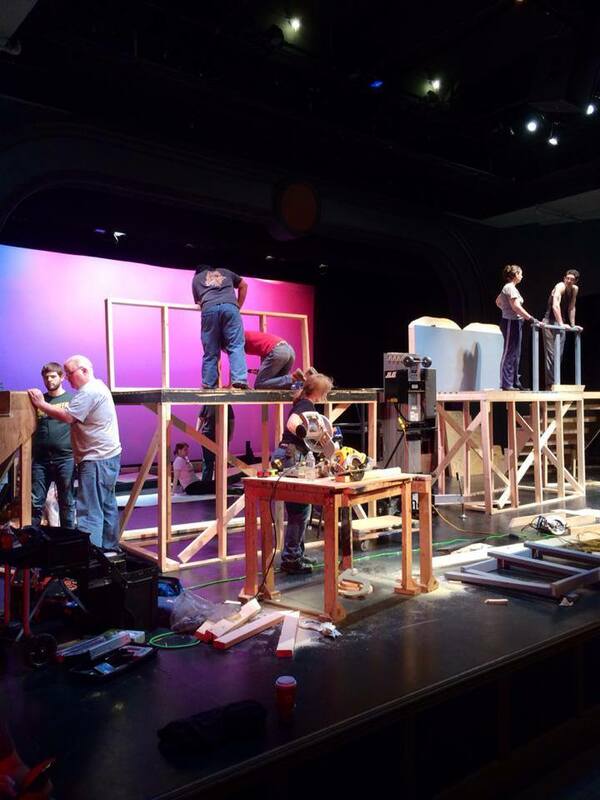 Maskarade cast members hard at work building the set! NP: Working with VOX 3 is and has always been uniquely great, I think due mostly to the fact that everyone collectively involved in these productions humbly offers themselves as performer, director, coach, designer, and co-worker – and everyone has so much to give! ZE: The ambitious nature of this project tells a lot about this company and its members and mission. I have commended Brian on many occasions for having VOX 3 tackle such a daunting production. The dedication displayed by this company is really admirable, and I have learned that it truly is a collective enterprise. I respect that emphasis very much. The people who make up the company are dedicated, talented individuals, from whom I draw inspiration. It’s been a great ride. Reblogged this on Zachary Elmassian.